Consider your garden an extension of the inside of your house outside. 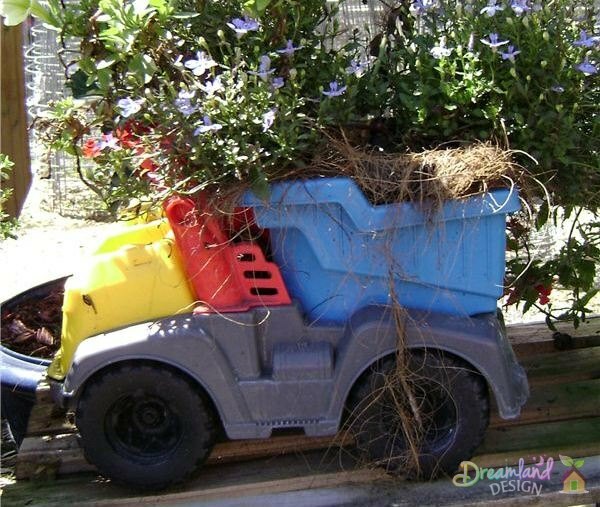 Do you love to turn junk into a wonderful piece of art? If so, then use these simple ideas with a splash of creativity to make your own garden decorations and treasures. Decorating the garden has become quite a moneymaker for nearly every store from the local dollar store to the mega home improvement store; yet, the selections of these garden decorations tend to be very much the same from store to store. Frogs, angels, gnomes, and wheelbarrows line the shelves each spring and summer season and are usually made outside of the USA. 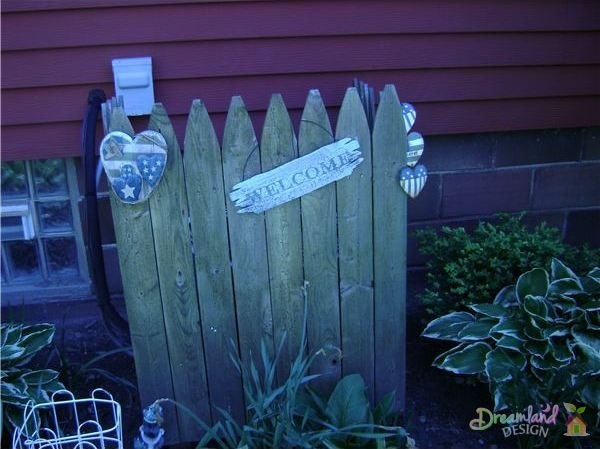 Take your garden to a whole new level and personalize it with your own re-purposed decorations. 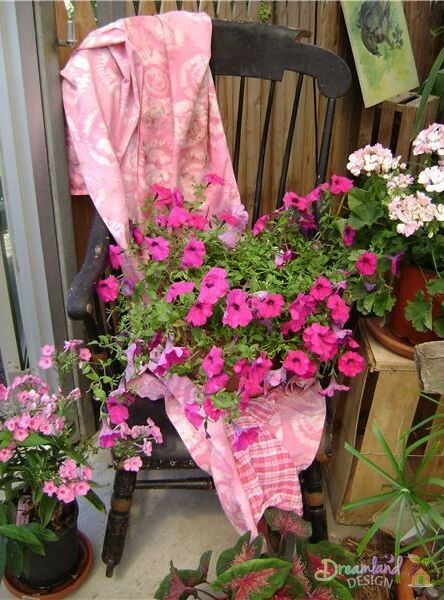 You will enjoy the benefits of saving money, and doing your part to reuse, while your garden guests will be very impressed with your creativity and whimsical style. No two gardens are alike, so just as with the plants you choose, so too will the decorations and placement be all you. The first place to begin the search for garden treasures is in your own basement, garage, or attic. Old items that one may not normally think of using in a garden will find new life there. The key is to search for items which are durable, or that you would not mind if they faced the weather elements and faded. Even faded garden art has a sense of beauty in its antiqueness. Chances are, if you have items stowed away in storage or in the charity contribution box, you would not mind. Think, “can I use this in the garden,” as you are searching to decide on the decorations to be used outdoors. Other places to search for garden art are at thrift stores, consignment stores, garage sales or estate sales. 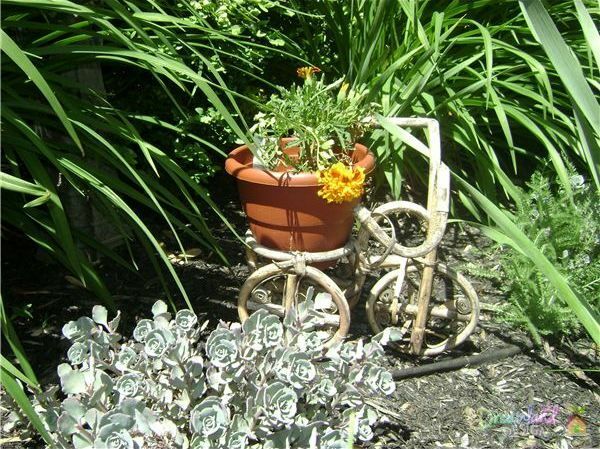 These are great places to search for garden art because it is inexpensive and the items just plain fun to find. Old wall decorations (plastic, wood or ceramic are great finds); angels, Uncle Sam, butterflies, wreaths, kids are some ideas. Now that you have gathered some fun and whimsical art it is time to make them into garden decorations. The garden art you have collected will suit your personal style. Small items will look best when tucked into garden beds subtly. Give larger items more space. For example, line up some potted plants on a garden bench. Hang some of your finds on fence, railing, shed or deck post. Just like decorating indoors, it will take some standing back for proper placement. The most important consideration about making/re-purposing your own garden decorations is for each chosen piece to be a reflection of your own personality and style of the home. As a gardener, you have your own sense of how things should be placed and your art is the same. Decorating this way also works well by season. Switch out Spring or Summer decorations for a Fall theme. Please share your ideas with us! I’d love to know what you think in the comment section below.